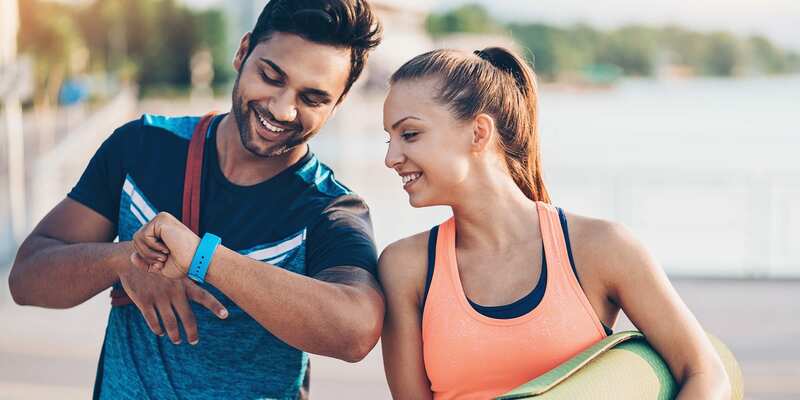 Nearly every smartwatch and pedometer on the market is pre-programmed for a 10,000-step goal, so it might seem like that’s the magical number we need to aim for every day. But how many calories does 10,000 steps burn? How many miles is 10,000 steps equivalent to? And is 10,000 steps per day really enough exercise to lose weight? Here’s what you need to know. Walking is a cheap and easy way to improve your overall fitness, especially if you’re just getting started or have a lot of pounds to lose. “If you’re extremely overweight, walking can be a hugely effective way to begin your weight loss journey, helping you burn calories and fat, build your endurance, and increase your energy level,” says Trevor Thieme, CSCS, senior fitness and nutrition content manager at OpenFit. It can also improve your health in other ways. “Walking is a weight-bearing exercise, so it can help prevent bone loss as we age,” says Linda Hodges, an Iowa-based doctor of osteopathic medicine and author of Weight Loss That Works. Even better: Physical activity like walking is shown to help alleviate stress and improve overall mood. Can Walking 10,000 Steps a Day Help with Weight Loss? The 10,000-steps-a-day recommendation — which adds up to nearly 4.5 miles if you’re 5’7″ — dates back to 1960s Japan when a pedometer called the manpo-kei (roughly translated to “10,000 steps meter”) was released. In other words, the 10,000-step goal originated as more of a marketing tactic than a science-based recommendation. For example, a mostly-sedentary overweight person will likely burn more calories walking than a similarly-sedentary “healthy weight” individual of equal height, due to the extra effort required to move their greater mass. Needless to say, you’ll burn more calories climbing a mountain than you will strolling along a paved beach path at the same pace for the same number of steps. But no matter where you’re walking, the faster you go, the more calories (and fat) you’ll ultimately burn. In short, power walking beats strolling when it comes to weight loss. As your body adapts to walking, you’ll burn fewer calories — unless you pick up the pace or otherwise increase (you guessed it) the intensity. “There are easy ways to continue to make walking a challenge, like adding incline (e.g., hills), stairs, or speed,” says Hodges. Should I Do More Than 10,000 Steps Per Day? Completing 10,000 steps a day at a brisk pace — at least 3 mph — is enough for basic upkeep. (The CDC recommends getting at least 150 minutes of moderate-intensity exercise each week to maintain or improve your overall health.) But it probably shouldn’t be your only form of exercise during the week. Don’t have a wearable fitness tracker to count your steps? Timing them also works. One small study found that walking for 50 to 70 minutes three times a week helped reduce waist circumference in obese women. Another study found that participants who followed a reduced-calorie diet and took an hour-long walk five times a week lost more weight and body fat than those who only cut calories.